Search engine optimization is vital for getting your content to rank. A line that divides White Hat SEO, the proper way supported by Google, and Black Hat SEO, the shady stuff that can get you banned from Google. Today, the large blog TMZ, Aol Owned affiliated with AOL, veered towards the Black Hat line. One shady SEO technique is keyword stuffing, which is when you include keywords in your URL—several similar keywords—with hopes of picking up extra search traffic. And today, that’s what TMZ did. 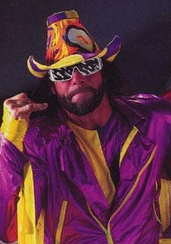 Look at their URL for Macho Man’s death. They included every permutation of death: Dies. Dead. Died. Killed. It’s one thing to report the news. It’s another thing attempt to rank for keywords with hopes of profiting off someone’s death. However, stuffing keywords? That’s a whole new low. If you want to rank, you should include the keyword you want to rank for in your URL. But if you overdo it, and stuff your keywords, that could actually HURT your ranking because it looks like you’re spamming. Yes, a big media company like AOL can probably get away with this. But if you’re just starting out, don’t use someone like TMZ as an example of what you can do, and what you can’t do. Spread the word. This shouldn’t be okay for a large blog to do. Click here to Tweet.